In Red Dead Redemption 2 there are a total of 4 table games (mini-games) required for a 100% completion. In this tutorial we show you all the locations of the mini-games in RDR2. 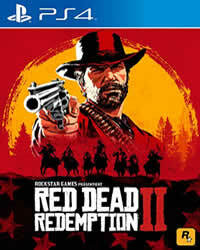 More guides and tips on RDR2 you will find in our 100% walkthrough to the game. The table games are: Five Finger Fillet, Blackjack, Domino, Poker. You do not have to win the games, sit down at the table and then you can go. You can also track your progress in the menu. None of the games can be missed, you can also play them after the story. If one of the mini-games is not available, just keep playing the main action. From chapter 4 you should be able to access all areas. The following locations are fixed and will always be present.